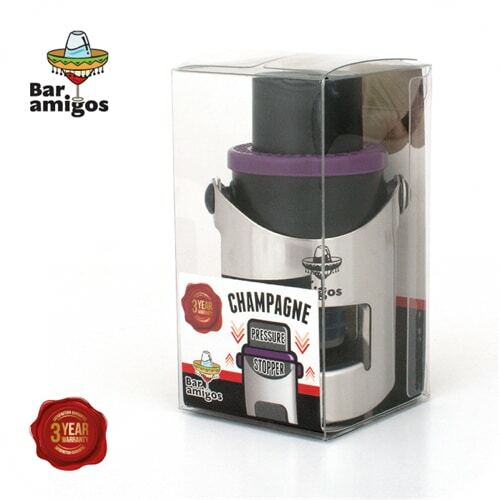 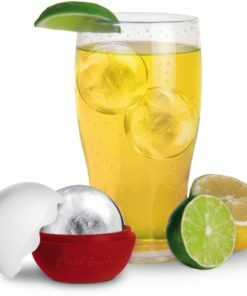 Preserve The Fun with our Bar Amigos Champagne Pressure Stopper. 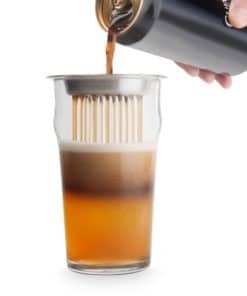 You no longer have to pour that expensive bottle of bubbly down the sink. 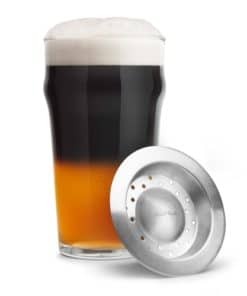 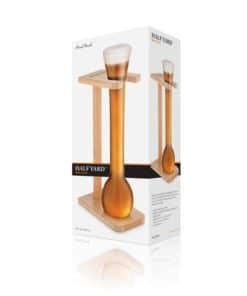 Simple to use and easy to store. 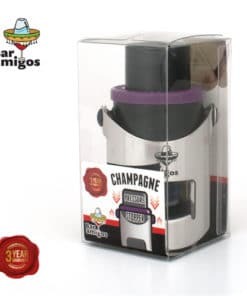 Our Bar Amigos Champagne Pressure Stopper patented pump system preserves the taste and flavour of your favourite bottle of sparkling wine. 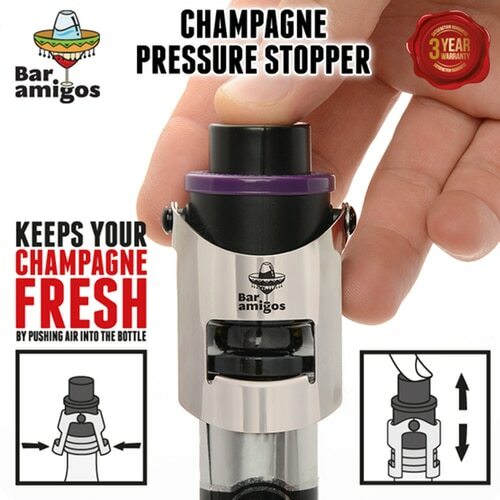 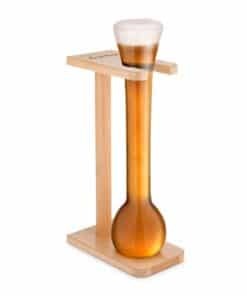 Different to the other stoppers and bungs on the market, our Bar Amigos Champagne Pressure Stopper pumps air into the bottle which will give you far better results than suction. 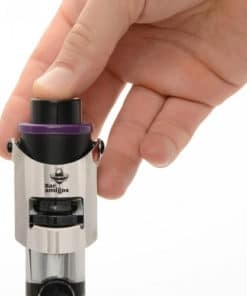 The lock in pressure pump system is designed to keep the champagne’s bubbles inside to preserve the taste. 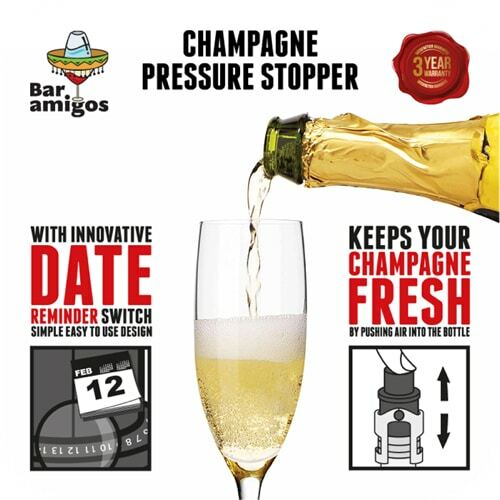 Only the Bar Amigos Champagne Pressure Stopper has this patented technology and quality finish. 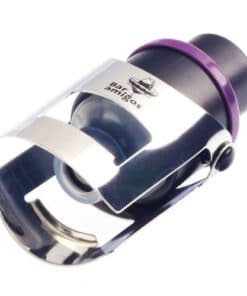 Simply place the stopper on the bottle and close the metal wing locks to secure. 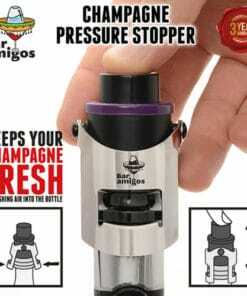 This stopper is designed to fit most Champagne / sparkling wine bottles. 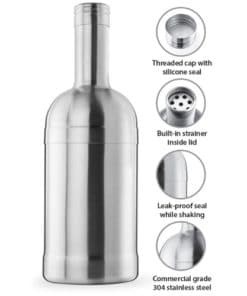 Once locked in place, push the button down several times to pump air into the bottle until the button is stiff. 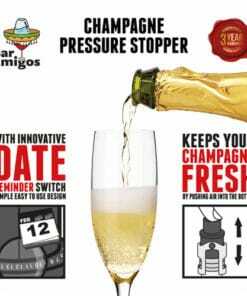 Your Champagne is now sealed with the correct amount of air pressure. 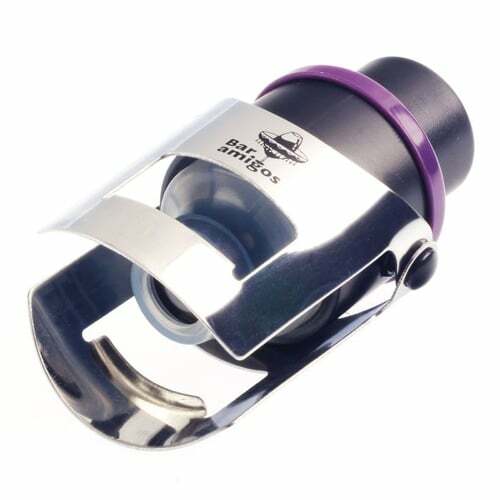 To release, simply place your hand over the cap and loosen the wing locks. 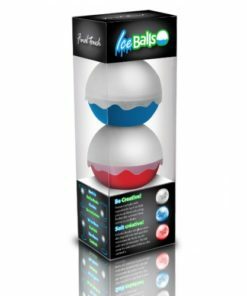 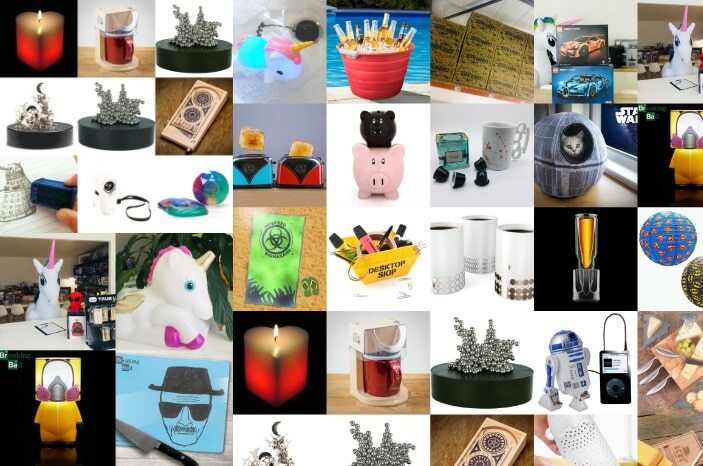 Individually gift boxed with a choice of 3 amazing colours to suit all tastes. 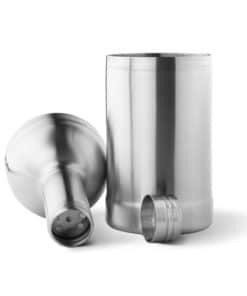 Due to air pressure please take care when removing the stopper. 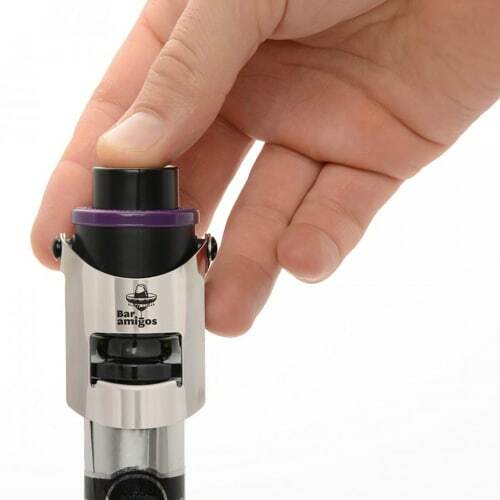 Simply clean the stopper with a wet cloth or wash it with water.